I am a furniture designer maker based in Ditchling, East Sussex. 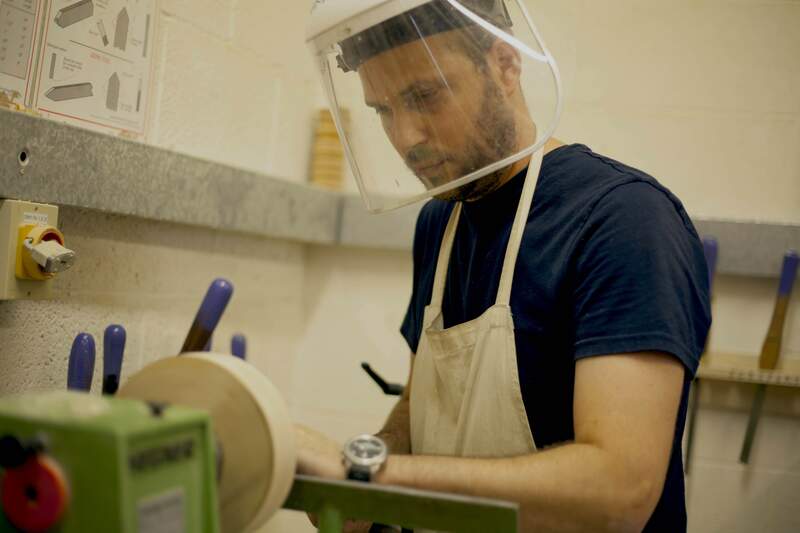 I have recently completed a fine woodwork diploma at the Building Crafts College in East London where I had the opportunity to learn about different types of wood and other materials, traditional hand tools and modern mill machinery. I believe that if you fell a tree, or are the beneficiary of a supply chain that began with a felled tree, then you have a responsibility to make something worthwhile with its timber. My interests lie in bespoke furniture making and woodturning. I favour simple, honest and functional design which draws on ideas from the past. At the moment I particularly enjoy turning fruit wood bowls. Please get in touch if you would like to discuss ideas for a one of a kind gift for a loved one or special occasion.